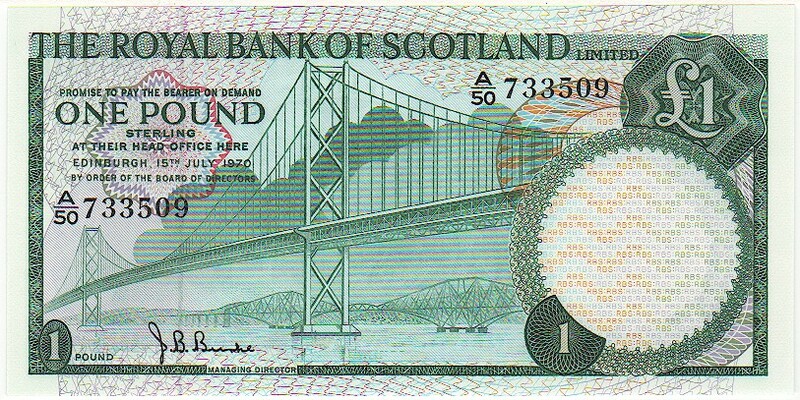 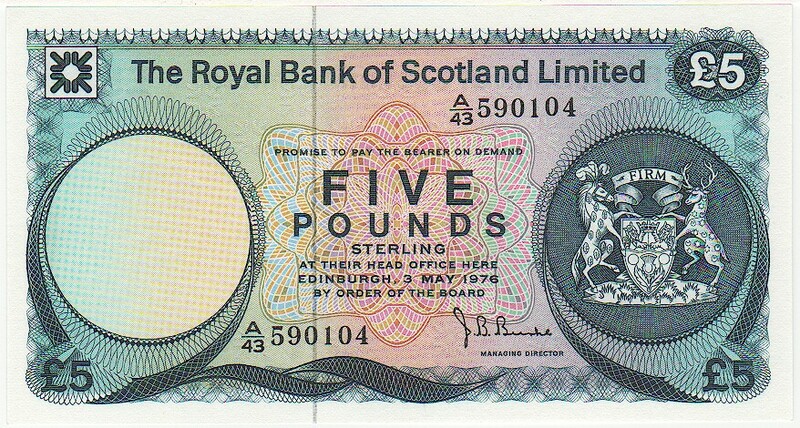 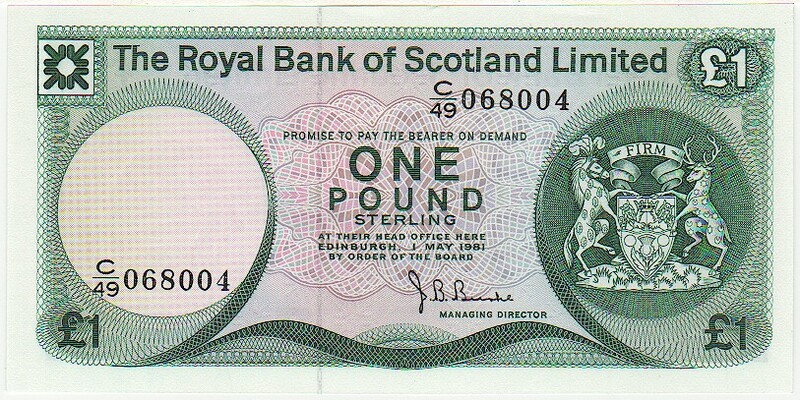 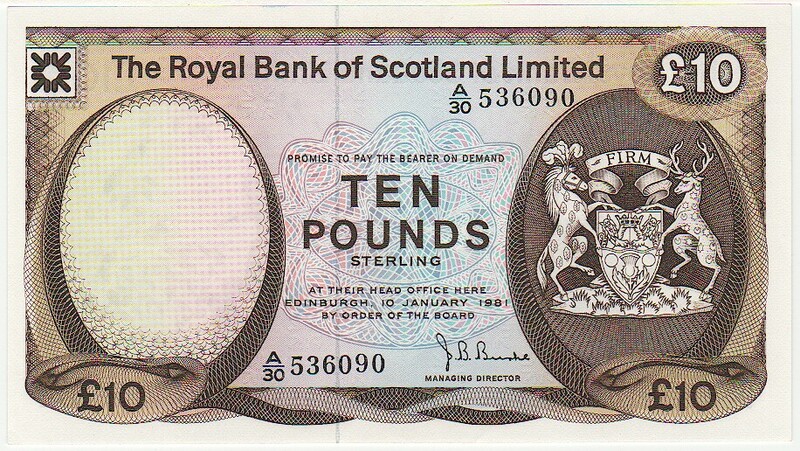 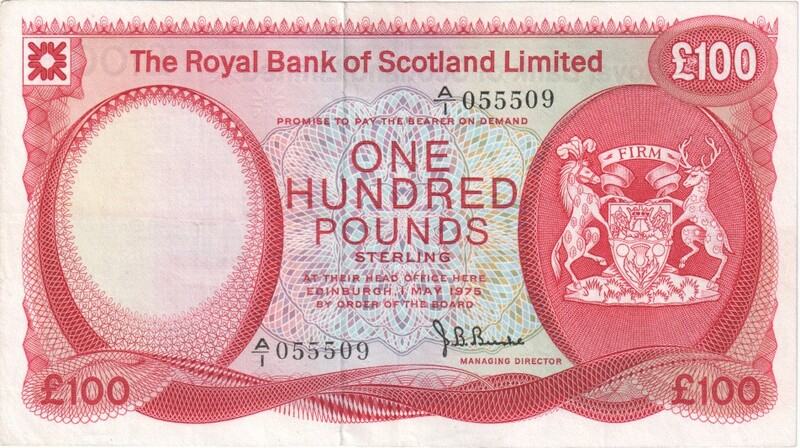 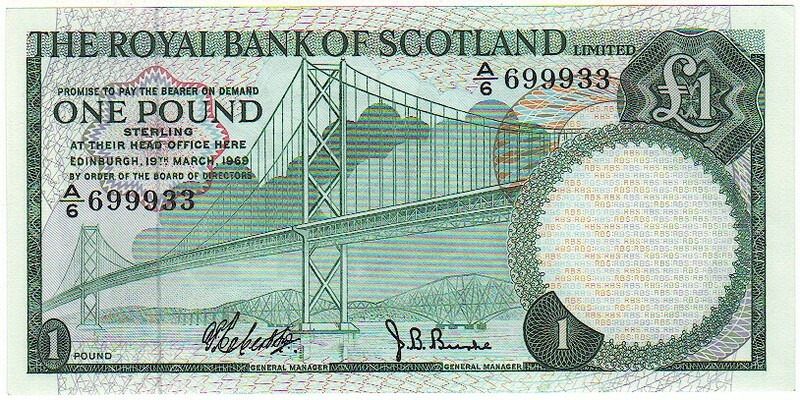 Royal Bank of Scotland Ltd.
Prefix A/2 UNC £65.00 First date for this long series. 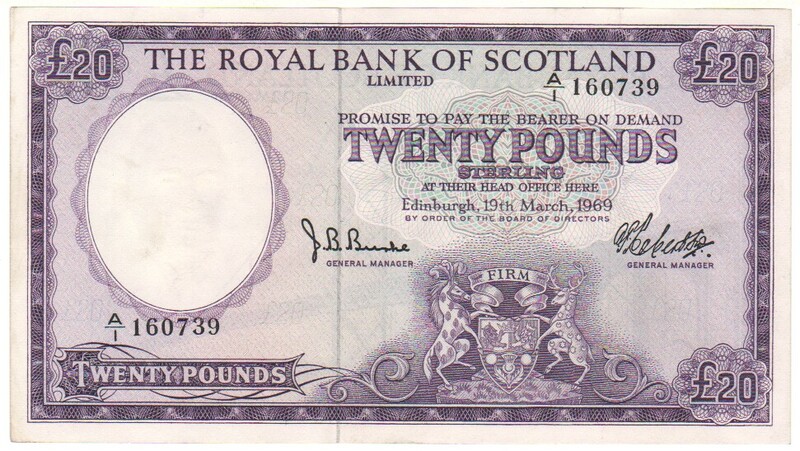 Prefix A/1 F+/VF £65.00 small ink annotation "20" on front. 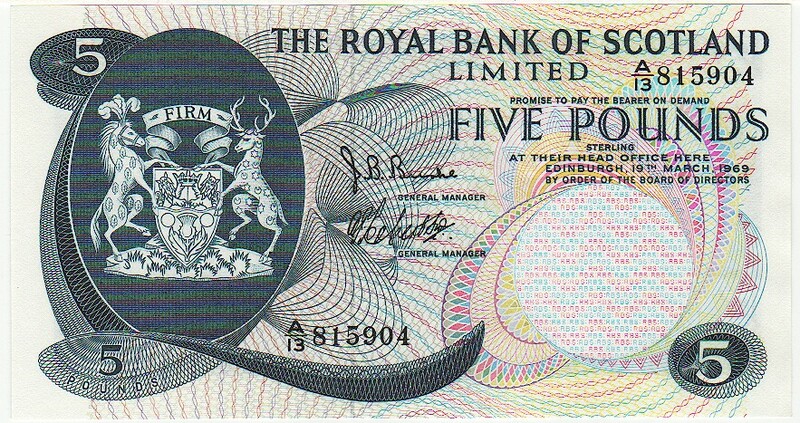 5 separate ink annotations on reverse. 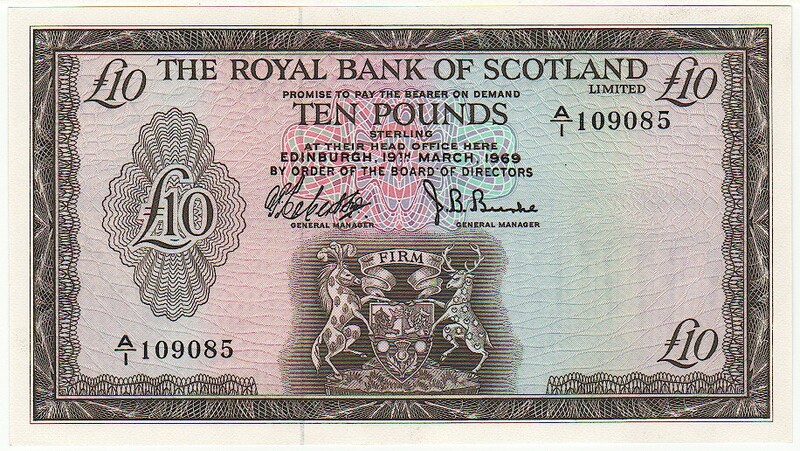 Prefix A/1 VF £75.00 First date and prefix; ink annotation bottom right corner. 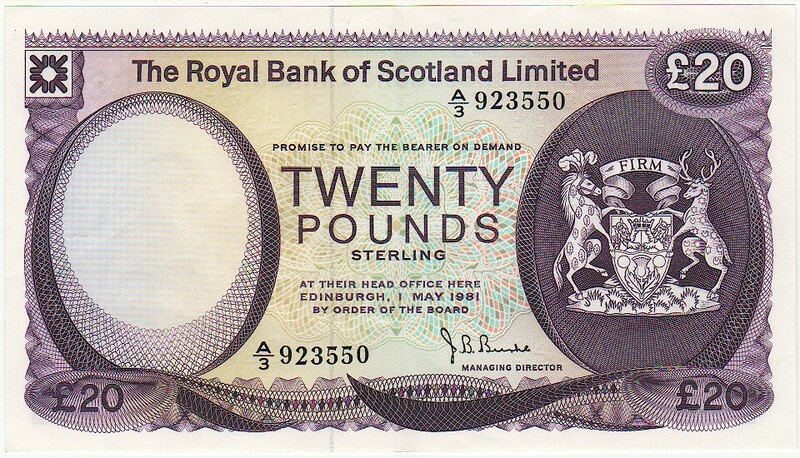 Prefix A/1 VF/VF+ £240.00 Has ink annotation "300" on the front.